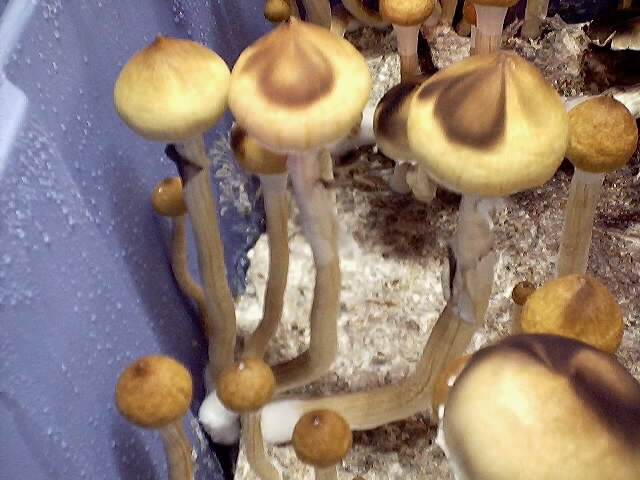 The second flush is in. Unfortunatelly the pics are not as nice,but i just wanted to share them with you. 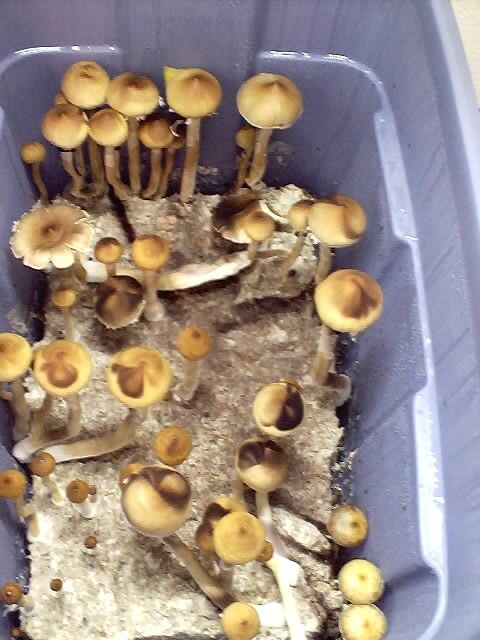 I overslept and there are spores gallore everywhere and I had a problem with the lighting,but you get the idea.The second flush yielded 31.75 wet oz.There are 8 big ones missing from the pic that I picked the night before. Edited by isis on 08/19/01 06:03 AM. Oh but Tekforce they are my pics not his. It's my new little camara I bought. It's got me going picture crazy.I've been taking pictures off everything and playing around with them.It's my new toy.Enter,be patient.My rye bags started germinating on day 3 and 4. 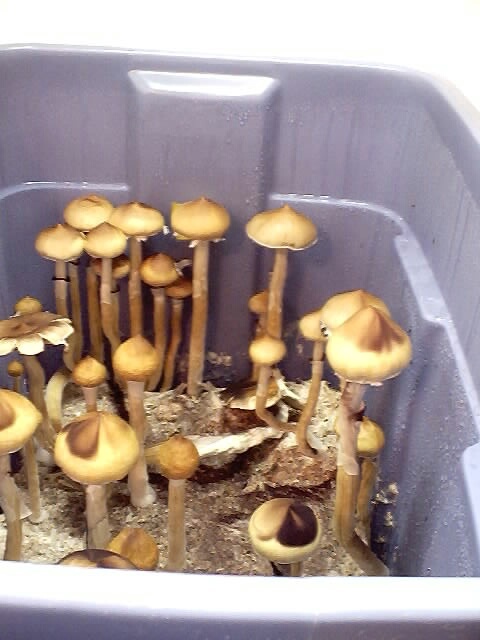 Is just that I had used a really dark spore filled syringe so when germination happened it almost covered all of the grains.One shake and they were done. But this is not how it always go. I've also had bags germinating on days 4-6. It's all normal. sometimes even a little later. If there no funky smells comming from your bags you're probably fine. Your going to be so happy when you finally see some white. I think Ryche has mentioned that he is going to re-write that part because many of the time it does take longer than he says on his site.Good luck with your kits. Edited by isis on 08/19/01 04:07 PM. Edited by isis on 08/19/01 05:18 PM. Enter, be patient. It took mine almost a full week before i saw any sign of anything. I know their your pics isis just they are so damn nice and your makign me jealous cuase i keep seeing them. 1,195 topic views. 0 members, 4 guests and 0 web crawlers are browsing this forum.